"And I'll tell it and think it and speak it and breathe it, And reflect it from the mountain so all souls can see it"
The Millenium Project was selected for preservation by the National Library of Australia. The Ratbags site with good advice and information. See all the quotes here. There might not be an update to this site next week. I think I've mentioned that since I retired I added another hobby to offending the offensive. It's doing media work at forest car rallies and next weekend I'll be driving around taking pictures with my new Nikon camera and writing things about the second round of the NSW Rally Championship. I start getting involved on the Friday and the deadline for copy for the paper is Monday so time will be a bit tight. To get everyone into the mood, here is a photo of me in one of the forests that will be used next Saturday when I was walking the walk, not just talking the talk. (University Car Club Winter Rally, 1979). We should have won the event but a bit of carelessness by the codriver attracted a penalty that dropped us back to fifth outright. There was someone else in the second chair in rallies from then on. (I would have forgiven him, but he wouldn't forgive me for being a bit disappointed.) I must have bumped the bank on the side of the road before entering the creek, but I didn't know about the angle the car was at until the photographer rang me a couple of days later to say "Wait until you see what I've got". One of my pet dislikes is the fad for selling tap water in small bottles to people with more money than sense. Another thing that annoys me is advertising where the ad makers leave their brains at home and nobody notices something stupid. I'm always fascinated when I hear popular songs in advertisements where it is obvious that nobody at the ad agency or the client has actually listened to the song. Ford once used the David Bowie song "Heroes" in an ad for the Focus car. Extrapolating from the meaning of the song this would indicate that driving a Focus is an act of desperation that is almost certainly suicidal. It gets even better when there are actual lyrics in the song that defeat the message. Microsoft bought the Rolling Stones' "Start Me Up" for the launch of Windows 95, and it was almost a complete nanosecond before members of the Cult of Apple were singing "It makes a grown man cry". A few years ago a bank promoted their loan products using the Al Stewart song "1 2 3". They only heard the words "It's so easy" but the rest of us filled in "Like taking candy from a baby". The latest effort is an ad for McDonalds featuring Meatloaf"s "I would do anything for love". The ad follows a child's progression through life showing all the embarrassing things that a father has to do at various stages. The ad ends with Dad sitting down in Maccas with the offspring. The soundtrack goes "I would do anything for love". The next line if it came along would be "But I won't do that". 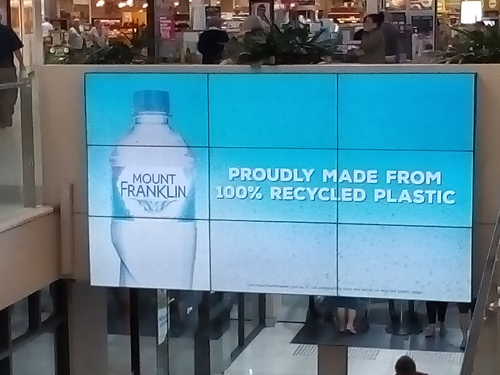 Getting back to the bottled water, I came across this advertisement on the big screen over the escalators when I went grocery shopping. It was actually an ad promoting recycling, but that isn't the first impression. 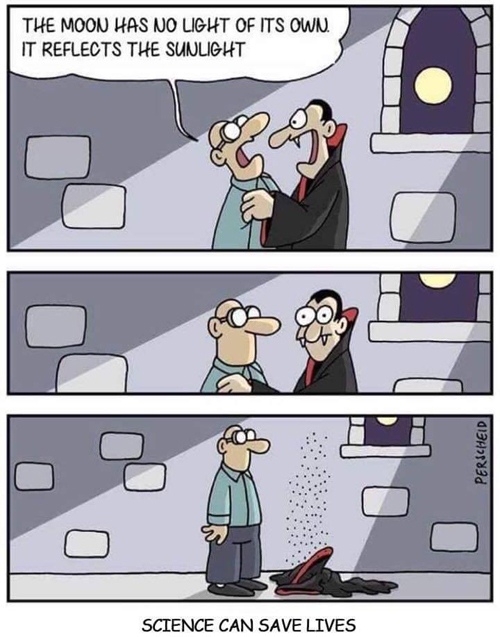 Stupidity squared. And speaking of bottled spring water, a few years ago a bottling company from Perth made an offer to take over the company that was dominant in the Sydney market for supply to office water coolers. The offer was rejected (the incumbent was making a lot of money for not much input product cost) so the Perth crowd announced they were going to come into the Sydney market and drive everyone out of business with the quality of their spring water. They set up a bottling plant in Sydney just near where I was working at the time, and as Sydney is many thousands of kilometres away from the spring in Perth high traffic of water tankers was predicted for the Nullabor Plain. Everyone who has ever lived in a house with town water supply will know that the water supplier likes the meter and master control tap to be near the front of the property for convenience. Did I laugh when I walked past the factory bottling all this Perth pure spring water and noticed an extremely large pale yellow pipe with a big red shutoff tap on top of it and a sign saying it all belonged to Sydney's water supply service? Why, yes I did. I've had a page here listing bad scientific journals for some time, but I've decided to leave that particular field of battle because there are just too many examples and other people have built really comprehensive lists of journals that can't be trusted to contain worthwhile information. You can see the page here. One of the organisations into the fake journal market up to their eyebrows id OMICS, based in India. Not only do they publish a plethora of journals where passing peer review just means that the cheque has cleared (you can name your own reviewers, but maybe that costs extra) but they also run conferences famous for saying that famous scientists who have never heard of OMICS or the relevant conferences will be speaking. Attempts by scientists whose names have been borrowed to disassociate themselves from the fraud are rarely successful. Put briefly, OMICS makes a lot of money by lying about the quality of their journals and conferences and by relying on people who take "publish or perish" a little too literally without regard to where the publishing happens. OMICS journals are not included in the Thomson Reuters impact ratings so OMICS just makes up their own impact factors, and they love to talk about Medline and PubMed despite not being indexed. The US Federal Trade Commission finally got sick of all this deception and has fined OMICS $50 million. The little fact that OMICS is in India and can stick a middle finger up at the FTC is probably a hurdle to anything really happening, but at least it might be a warning to universities and funding bodies that OMICS is not anyone they need to deal with. One Australian university paid $3,000 to send a PhD student to an OMICS conference, but as the student's research was later revealed to be rubbish anyway they probably don't care. You can read about the FTC's action here. It is interesting to note that someone has suggested that the FTC's action might be in conflict with the free speech part of the First Amendment to the US Constitution. Of course, the rule can hardly apply to action against a foreign based company operating outside the US, but it is an example of how some people don't really understand what the rule means. 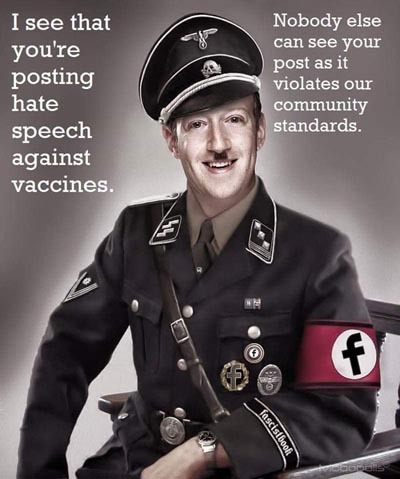 A few years ago some quacks tried to get a judge to rule that it was unconstitutional for there to be laws against lying in advertisements, this being Congress making laws restricting freedom of speech. The judge was sane and ruled that the action and penalty for the lying would stand. One of the things I did while this site was having a holiday was to retire from my IT consulting business and become a man of leisure. Someone once told me that after he retired he wondered how he ever had the time to go to work, and I know how he felt. 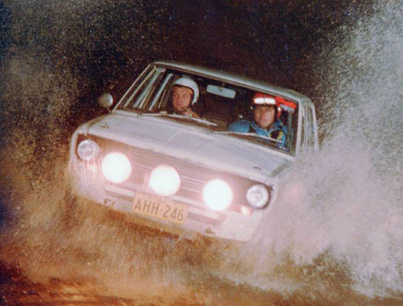 Back in the Middle Ages I used to compete in and organise forest car rallies, and a lot of this took place around Oberon where I now live. To fill in my spare time I got back into the game as a journalist, and my hobby is now travelling all over the place watching rallies and writing about them for newspapers and my own web site over there. At the last event in 2018 I managed to destroy my very nice camera (I tripped on some blackberry vines and the camera broke my fall) and when I went out a few days later to make some in-car videos of stages my action camera dropped dead after recording 5 minutes out of twenty minutes of driving, during which I managed to dislodge the radio aerial on the car, get a repairable puncture in one tyre and totally destroy another. 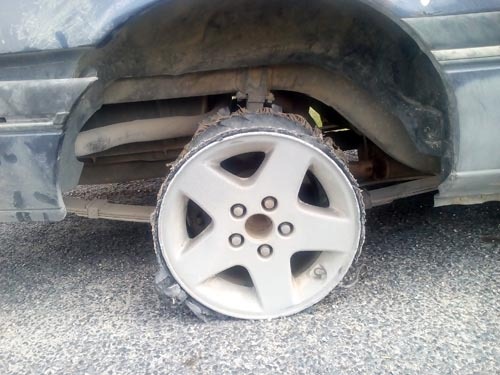 For reasons that don't matter now I had to drive about 15 kilometres out of the forest on the flat tyre. Learn how to use the new cameras (the Nikon has 18 buttons and three little wheels on it plus a whole lot of things that can be adjusted through the screen on the back; the software for using and controlling the GoPro makes me ashamed to admit I worked in IT). Write an article for the local paper promoting the rally (deadline Monday), after I'd gone out into the forests to get some photos of the roads to be used. Write my next column for Australasian Science magazine (another Monday deadline). To help with this the weather remembered that I like to get into the mood for writing a Naked Skeptic column by dressing appropriately and dropped the temperature by about 15°C since Thursday. Attend to my other hobby by updating this site. 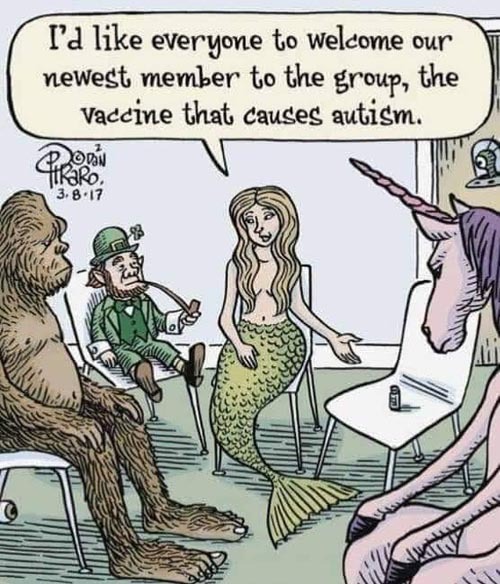 Anti-vaccination liars would make us laugh sometimes if they weren't making us vomit at their callous disregard for the lives and feelings of sane people. I've seen them compare themselves in the past to the victims of the Holocaust, but now they have cranked the offensiveness up to 11. Here is Del Bigtree, one of the producers of the lie-filled film "Vaxxed", wearing a yellow star. 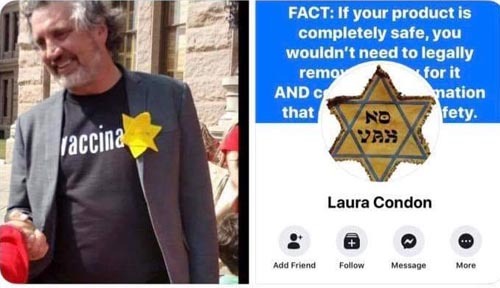 The difference is that during the Holocaust the people who wore the stars were the victims, but it's vermin like Bigtree who want to do the killing of millions today. 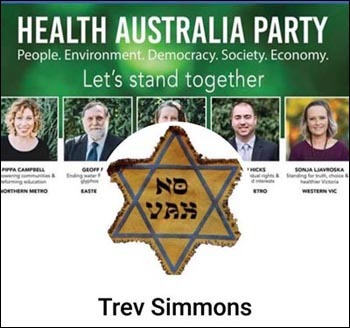 And here's a political party which will be standing candidates in the coming Australian federal election. I hope none of them campaign in my town, because the urge to commit criminal assault might overcome my normal reticence about doing things that might get me locked up. These people have no right to live among a sane, civilised population. Oh, and if Laura and Trev object to seeing their names here they can find a fire and die in it. 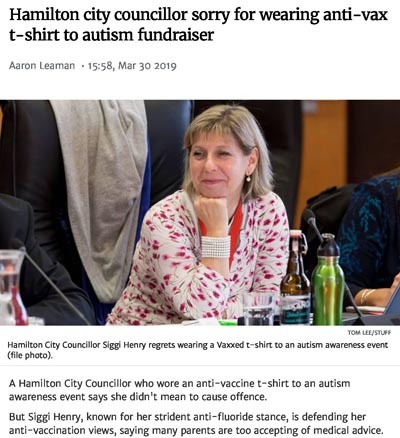 And just to show that the New Zealand Prime Minister's brilliant response to the Christchurch shooting atrocity doesn't mean that every politician in the country is sensible and of value to the world, Hamilton City Councillor Siggi Henry wore a t-shirt advertising the film "Vaxxed" to an event. The event was part of World Autism Awareness Day. She wore a t-shirt promoting lies about autism to an autism support function. This goes beyond tone deafness into the area of total stupidity, and as she said that she didn't mean to cause offence that stupidity is reinforced. Thanks to The Feed at SBS for this. See more like this at the Bizarro site. I managed to get a copy of the Chiropractic Board of Australia's advice to chiropractors about fiddling with children's backs, and I was right. Everyone's talking about a ban but the actual words are "The Board advises chiropractors to not use spinal manipulation to treat children under two years of age, pending the recommendations arising from the independent expert review". Note, "advises", not "instructs", and the advice only goes on until the meaningless review is done. if the "recommendations" of that review say "It should not be done" then the CBA will jump on the inherent uncertainty in "should not" and advise caution. If the "recommendations" say "It must not be done" then the CBA will say something ambiguous and get prepared to frequently say "rogue". You can read the self-serving drivel from the CBA by clicking on the picture over there on the right. The CBA has led to the creation of a new simile - "As useless as a warning from the Chiropractic Board of Australia". Australia's most trusted current affairs television program decided to take a look at some of the excesses of chiropractic, and I assume that chiropractors aren't happy about the result. Of course, anything that makes chiropractors unhappy makes me happy. You can click on the image to see the program. Note the prevarication from the man from the CBA. As my friend Mr (he's a surgeon!) John Cunningham was in the piece it's probably time to revisit his famous facepalm when asked about chiropractic in a previous show. One thing that didn't go away while this site was resting was the proliferation of pyramid scheme scams, sorry, I meant multi-level marketing opportunities. Because I wasn't paying attention I missed this news about Herbalife in 2016, but I can now make amends. $200 million to be paid out! It's like Christmas and my birthday all rolled into one and the parties are repeated every day for a year. You can read the story here. Politicians have been horrified after being told that chiropractors do things that we've all known about for years and which lie outside any boundaries of what could be called proper medical practice. Things will be done! Action this day! And the Chiropractic Board of Australia will act immediately to stamp out these dreadful practices. There will be a review "intended to weed out rogue operators and outlaw practices found lo be dangerous or medically unsound". If the review does what it says it's going to do that will be the end of chiropractic in Victoria, because there will nothing left after the rogues and dangerous or useless practices are gone. "A spokeswoman for the Chiropractic Board of Australia ... confirmed it would be "urgently reviewing this matter" of internal coccyx treatments". Just like it has urgently reviewed every complaint about anything that any chiropractor has done in the past. 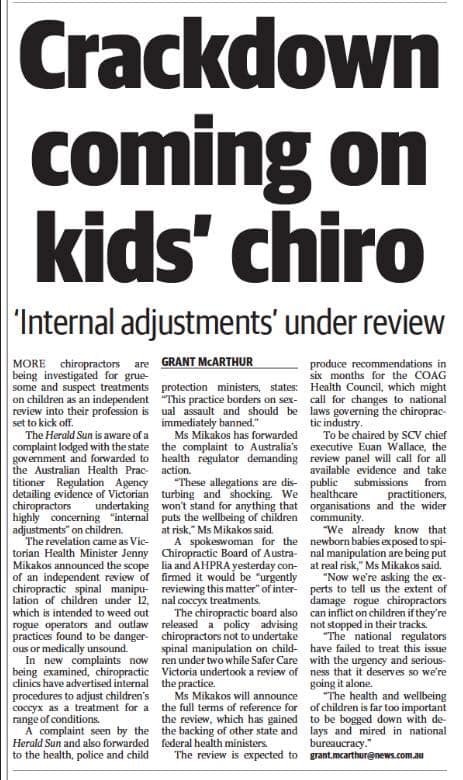 "The chiropractic board also released a policy advising chiropractors not to undertake spinal manipulation on children under two while Safer Care Victoria undertook a review of the practice". Of course. When something is being investigated, stop doing it until the investigation is over and then start doing it again. 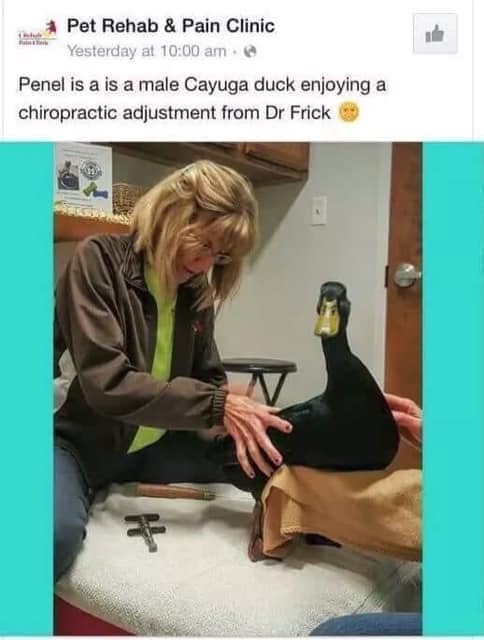 And here's a prediction: three years from now chiropractors will still be "adjusting" the spines of babies and young children, still doing dangerous things like sudden neck manipulations, still sticking fingers into places in children where they don't belong and still claiming that the only chiropractors doing any of this are rogues. In case you were wondering about the "COAG Health Council" mentioned in the newspaper article, here is the latest communiqué from the group. Click on the image to read the whole thing. As I was thinking about the CBA nodding and winking to chiropractors and giving them a nudge in the ribs about hiding child abuse for a while the words "A nod is as good as a wink to a blind bat" popped into my head. 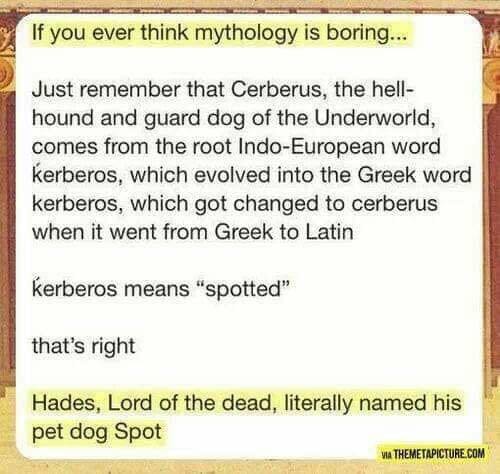 Here is where that saying came from. Enjoy. Enormously. The Australian Formula One Grand Prix attracts close to the largest attendance of any sporting event in the country, especially when all the days of practice and completion are included. 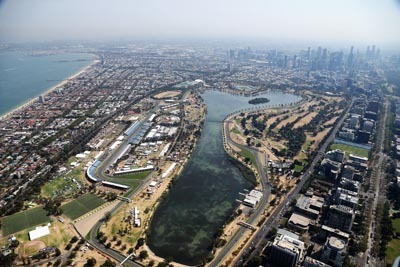 Over 80,000 people were at Albert Park for the race itself, with an awful lot of people there on the preceding days. On race day and the practice day before, a woman with measles exposed the crowd to infection. She also went to a nearby Woolworths supermarket just to make sure that the infection could be more widely spread (Woolworths is currently running a promotion directly aimed at children). Luckily, this plague vector was identified and was removed into quarantine so she couldn't endanger anyone else. It's possible that she can't really be blamed because she had just come from somewhere where there is an outbreak, but that wasn't really a secret and this is the 21st century where diseases like this have no reason to exist. You can read the sad story here. The crowd funding site GoFundMe has decided that even a single dollar raised to pay for lying to people about vaccines is a dollar too much and such campaigns have been banned from now on. 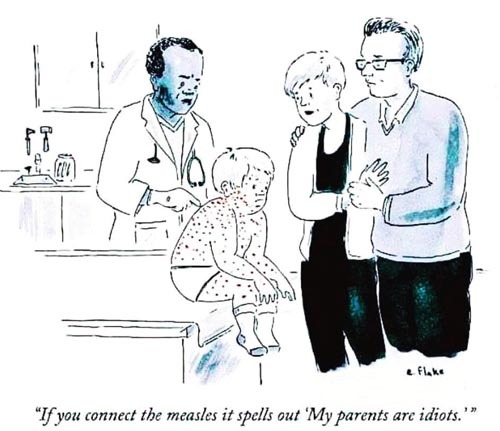 Simultaneously, Facebook, YouTube, Amazon and Pinterest have placed restrictions on displaying, selling or making money from anti-vaccination lies. 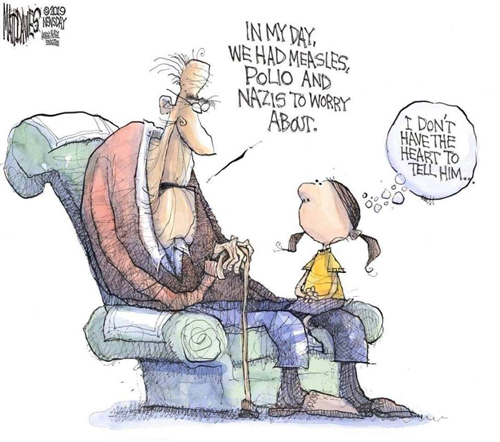 And are the anti-vaccination liars happy? Well, who cares about the happiness of people who want to see children dead or disabled? I certainly don't, and the whingeing of anti-vaccination liars is one of the most beautiful sounds in the universe. All of this has inspired them to fire up the Photoshop and get meming. This is an example of their wit, artistic skills and relation to reality. I'm declaring Godwin. The argument is over. See more from Emily Flake here. It seems I might have been wrong about the system that I used to use to notify visitors of site changes being broken. In a remarkable coincidence I received an email from the new operators telling me that lots of things had been fixed and offering tips and techniques for how to make it work the way I like again. As soon as I've got ten minutes free to investigate I'll bring it back. I hope the loons welcome me back, because without them there is no Millenium Project. I assume this is © 1981 ITC Films/IPC Films. A lot happened while I was away and I will catch up with most of these things over the next few weeks. A couple of notable changes have to do with how I can get some money to help with the running costs of the site (including legal fees, of course, because I expect that I'll be offending some thin-skinned people who need to be offended). As well as making me sort of lawyer proof it would be handy to have some spare cash to attend quackery and pseudoscience events and to subscribe to some publications and organisations that require money to get inside. I've also had two methods over the years to collect donations. I originally used PayPal, but they decided I must be running a money laundry and insisted I incorporate as a non-profit organisation, with all the associated costs and bureaucracy. While I was running my IT consulting company I could collect donations through the company's secure site and credit card facilities. Now that I've retired I don't need to keep the credit card thing going. I'm now using Patreon, which allows people to be patrons of the site by contributing a small amount each month (or even once only, because I'm sure you can opt out at any time). Look for the buttons all over the site. I'll say "Please" now, with an implied "Thank you" afterwards. Updates might be a bit irregular until I get my rhythm back, but again Saturdays will be the preferred option. As part of the resurrection, I've been going over every page in the site (there are lots of them!) looking for style, grammar and spelling problems, and I've also been fixing all the links that have died or changed in the last three years. If you see anything I've missed, please let me know. And I've already received my first hate mail. I'm back in business. You can click here to see everything that has appeared on the front page over the last 20 years. The Skeptic's Dictionary : A Collection of Strange Beliefs, Amusing Deceptions, and Dangerous Delusions by Robert T. Carroll. Featuring close to 400 definitions, arguments, and essays on topics ranging from acupuncture to zombies, The Skeptic's Dictionary is a lively, commonsense trove of detailed information on all things supernatural, occult, paranormal, and pseudoscientific. It covers such categories as alternative medicine; cryptozoology; extraterrestrials and UFOs; frauds and hoaxes; junk science; logic and perception; New Age energy; and the psychic. For the open-minded seeker, the soft or hardened skeptic, and the believing doubter, this book offers a remarkable range of information that puts to the test the best arguments of true believers. If you like this site, you might also like Quintessence of the Loon and The Green Light.